For a while now, I’ve been wanting to create something that would commemorate my and my husband’s anniversary. I decided that a sign would be a good fit because I can hang it on the wall and peek at it each day. It was so easy and took very little time to complete. 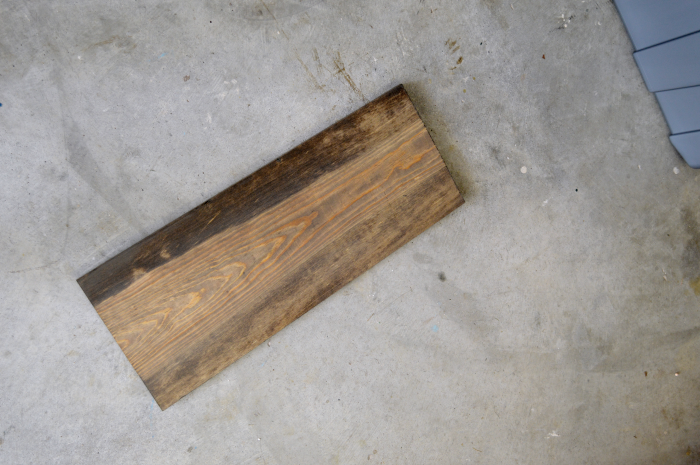 I had some scrap wood on hand (as usual) and I stained it with Minwax Provencial wood stain first. 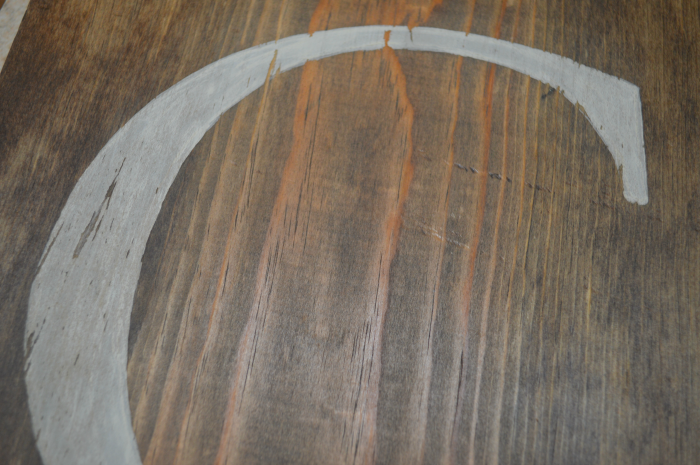 Then I applied some Weathered Gray stain over the Provencial and quickly wiped it off without letting it soak in. 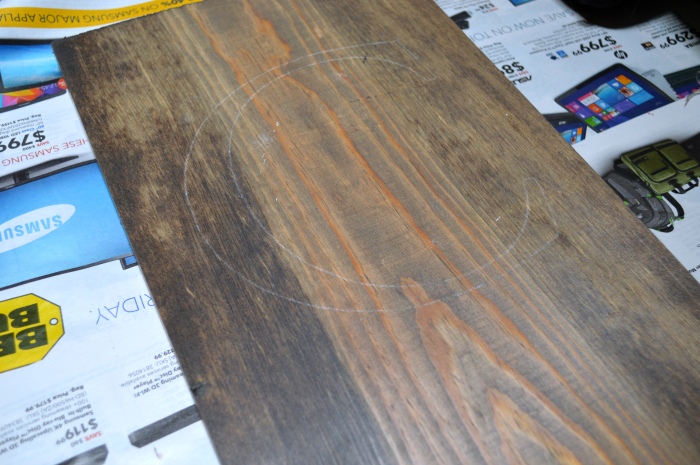 That created the perfect weathered looking stain that I was aiming for. I printed out a large letter ‘C’ as well as my last name and the year we were married. I used my favorite transfer method to copy the letters from the paper to the wood. Just color over the letters or image on the backside of your paper, place the paper on the boards and then lightly trace the outline of the letter/image with a pencil. 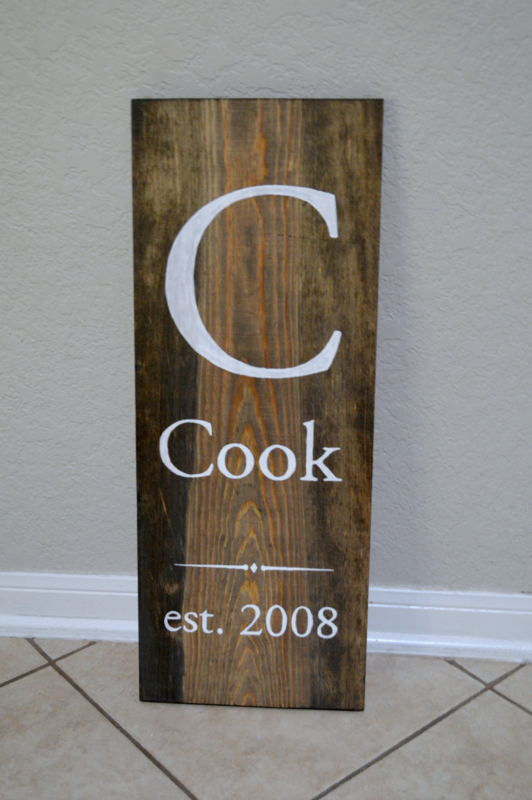 This will create a chalk outline of your letter or image of choice on the wood. 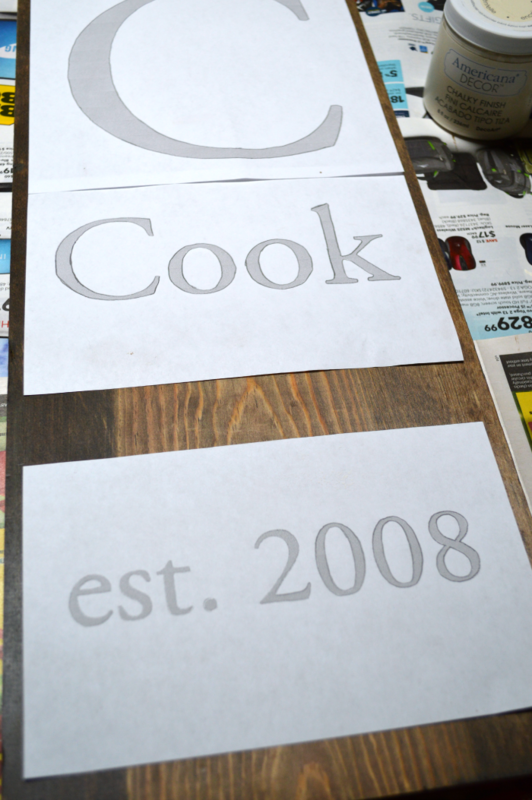 Next I just needed to fill in the outline with whit paint. I used “Lace” from Americana Decor Chalky Finish Paint. 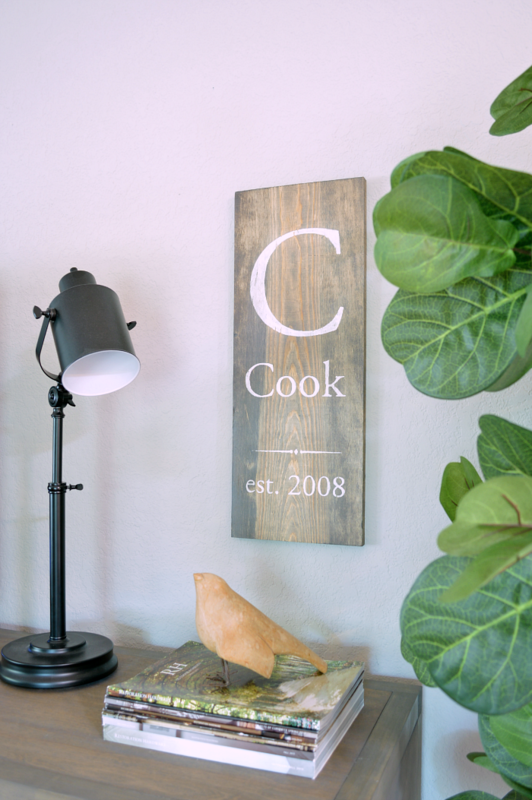 I wanted the sign to look a little more rustic, so I lightly distressed the paint with some sand paper. 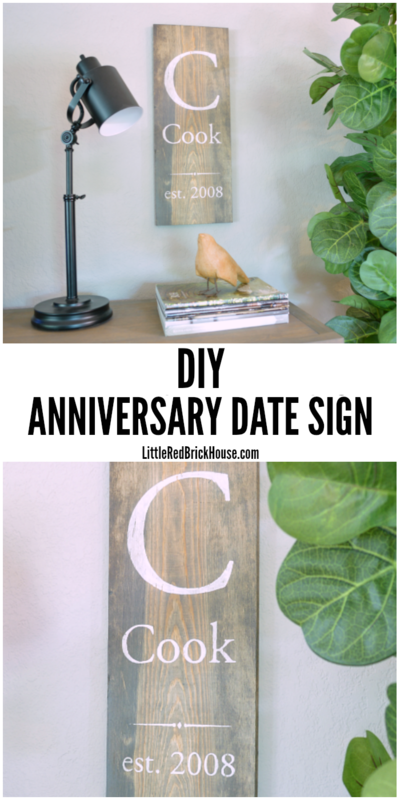 Do you display your anniversary in any special way in your home? This post was originally published at Domestically Speaking on August 19th, 2015. I absolutely love this! 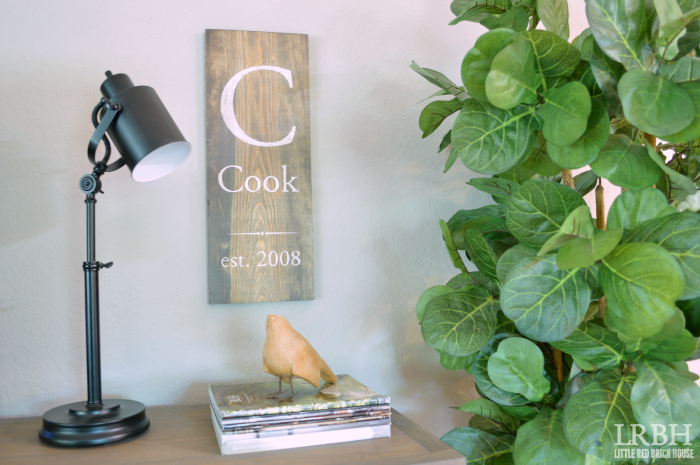 I just recently got married, and I am obsessed with Monogram everything so this would be a perfect little addition to our home! I am going to have to pin & make it because it is precious!! Thank you so much, Kaitlyn! And congratulations!! I am pretty obsessed with monograms too. 😉 Have a merry Christmas! Thank you so much, Deborah! I’m sure your sign is absolutely perfect! Love this project Sarah and yours looks awesome. A great gift idea! Love this, Sarah. My hubby and I love fence board and repurposed wood projects. We just celebrated 29 years on Valentine’s Day so he better be saving up some money for #30 next year! Thank you, Marty! Wow, 29 years. That is amazing! Happy belated anniversary! So creative! Would you mind sharing where you got the lamp in these photos? Thanks! It’s from Target. I got it a few years back and it doesn’t look like they still carry it. 🙁 I’ve seen similar ones at IKEA though.